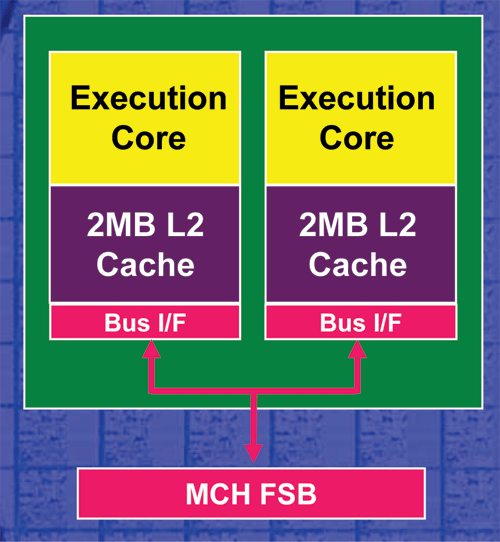 a64fx - non-ecc memory, 1mb cache, unlocked. therefore the X2 4400+ is really an opteron (dual core) running at 2.2 with dual 1mb cache but with the COHERENT HT link disabled that uses non-ECC ram. performance should therefore be almost identical between one DC opteron 2.2ghz and one A64 X2 4400+ (possibly the X2 will be faster 5%) due to the non-ECC memory which is faster. 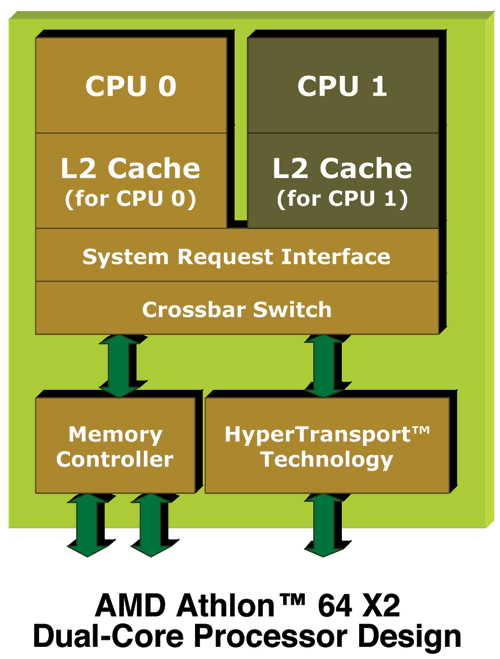 If you use a Opteron 875 then label it as such in all diagrams. You can make a note that the Athlon64 X2 4400+ will perform similarly to the Opteron 875. The differences in MB and RAM will affect results and so a direct re-labelling should not be made. saratoga, waah? There are similarities between C# and C++. While agree it's java'ish as well, it definitely has similarties to c++. One could say c# shaes similarities with c/c/c++. "C# is directly related to C and C++. This is not just an idea, this is real. As you recall C is a root for C++ and C++ is a superset of C. C and C++ shares several syntax, library and functionality." Quoted from above. "Real gamers" may use a single core, but I have been hankering for duallies since I tried an older dual G4 to my newer single G4. Even on the crappy MaxBus, I could browse the web, chat, do "real work" and game, without having everything go to pot when a bolus of e-mail came in. When you buy a dualie of any type, you buy the ability to do other stuff while you computer working on its latest task. Remember that when you get lagged while Outlook downloads your latest spam. Why wern't there any SMP Tests done on Quake 3 engine, after all it is said to be multithreaded. Add to all the arguments that we can potentially see programs taking advantage of this quite soon...without the effort required to implement full multi-threading, game functions could be assigned to use the other processor if it's available. For example, AI can be done by one core, while the other core does the rest of running the game.